[Eran Elhalal is a chef/Entrepreneur working in Manhattan. An Honors Graduate of the Culinary Institute of America, Eran was Executive Chef of two Manhattan restaurants in the past few years and consulted several others. He began educating customers about food and wine pairing and cheese in 2007 while working as the Chef at UES’s BarVespa. There are countless nuances to Cheese making, hence, Different countries produce different cheeses , which reflect the country’s Terroir , traditions and even mentality. Each one of the steps in the process is crucial to the end result ,the way the curds are cut will determine the texture of the cheese, the method and quantities of salting will affect aging or ripening. 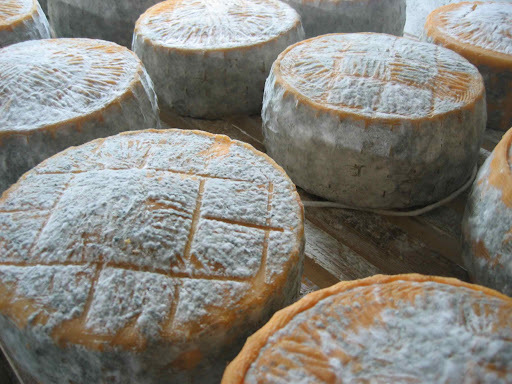 Artisanal cheese makers collect the raw milk from their own farm or nearby farms. That is the traditional way and the best one. 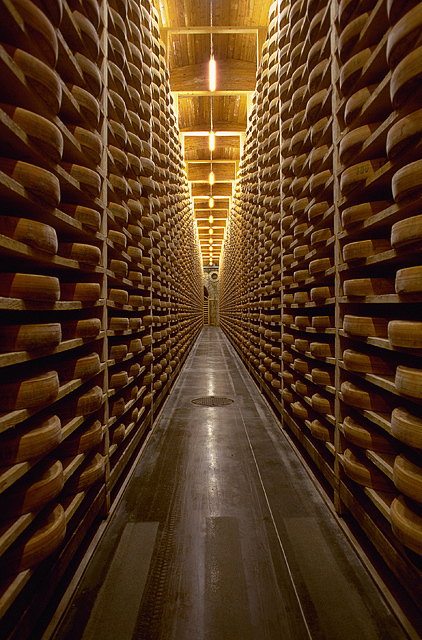 Travel time , agitation , temperature and cleanliness of the transport vats are highly important factors to the resulting cheese. Much like wine proximity is crucial. The shortest the time between milking the animal and starting the cheese making process, the better. Not all cheeses are made from pasteurized milk, but for the majority of modern cheeses, this is when the process is applied. The milk is typically heated to a temperature of 160o F for 15 seconds or to a temperature of 114oF and held for 30 minutes. Un-pasteurized cheeses are more flavorful because the heat inactivates natural enzymes in the milk that help develop the final flavor of the cheese . Pasteurization also slows down the action of the Rennet , thus prolonging the ripening/aging step in achieving full texture and flavor. On the other hand, pasteurizing makes the flavor of milk homogenous, which large volume producers seek to maintain consistency of flavor from different batches of milk. I say, that in the sense of depth of flavor and uniqueness, the difference between cheeses from un-pasteurized milk to those from pasteurized milk is the same as the difference between wines which are non-kosher or kosher to wines that are Mevushal (Hebrew for: cooked). Raw milk will actually sour and curdle on its own , but this natural method is inconsistent. Pasteurized milk does not sour this way ,so nowadays all cheeses are made by introducing an acid like lemon juice (Citric acid) , or vinegar, but in most cases a starter culture of special Bacteria is used to change milk sugars (lactose ) into lactic acid. The increased acidity denatures the milk protein (Casein), so it separates from the milk water into solid curds when a coagulating agent (Rennet) is introduced. The protein molecules then lump together to a soft gel. The curds are allowed to settle at a temperature of 70oF-95oF for 30 minutes-120 minutes, depending on the type of cheese being made. Low tempo yield soft curds for soft cheeses and high tempo yields hard rubbery curds used to produce semi hard and hard cheeses. First the curds are cut to release the whey . The method applied here will determine the texture and moisture content of the cheese. Softer cheeses are made by minimal cutting of curds and piling them up to drain naturally . Harder cheeses are cut horizontally and vertically to very fine pieces , thus releasing much more moisture that results in a drier, harder cheese. Some hard cheeses are then heated to temperatures in the range of 100 °F–130 °F. This forces more whey from the cut curd. It also changes the taste of the finished cheese, affecting both the bacterial culture and the milk chemistry. Cheeses that are heated to the higher temperatures are usually made with thermophilic starter bacteria which survive this step—either lactobacilli or streptococci. Salt has a number of roles in cheese besides adding a salty flavor. It preserves cheese from spoiling, draws moisture from the curd, and firms up a cheese’s texture in reaction to contact with the denatured proteins. Some cheeses are salted from the outside with dry salt or brine washes. Most cheeses have the salt mixed directly into the curds. Salting also slows down the starter bacteria culture, thus contolling the rate of ripening/Aging. Stretching: The curd is stretched and kneaded in hot water, developing a stringy, fibrous body. (For example: Mozzarella , Provolone , Kashkaval). Whey based cheeses: Once the whey has been drained,it can be used to make some cheeses ,without the use of curds.(Ricotta,Urda). Most cheeses achieve their final shape when the curds are pressed into a mold or form. The harder the cheese, the more pressure is applied. The pressure drives out moisture ,the molds are designed to allow water to escape , and unifies the curds into a single solid body. Ripening/ Aging is the stage where enzymes and microbes change the chemical composition of the cheese from complex organic molecules to simple ones and transform the cheese’s texture and intensity of flavor. Temperature and humidity are monitored carefully. Some traditional cheese are aged only in near caves which contain unique molds and yeast which result in a one of a kind cheese. More often, cultures are used, giving more consistent results and putting fewer constraints on the environment where the cheese ages. These cheeses include soft ripened cheeses such as Brie and Camembert, blue cheeses such as Gorgonzola, Roquefort, Cabrales, Stilton, and washed rind cheeses such as Taleggio, Grayson.Soft Cheeses- like Brie, Camembert, ripen quickly and at a lower tempo than hard cheeses. Soft cheeses ripen from the outside in. It is all about controlled spoilage here. Bacteria multiplying too quickly results in uneven maturation of the cheese. High humidity ( usually 80%-95%)is crucial to a moist surface in cheese. The ripening/aging period (called Affinage in French) can last from days to several years. This transformation is largely a result of the breakdown of casein proteins and milkfat into a complex mix of amino acids,amines and fatty acids.